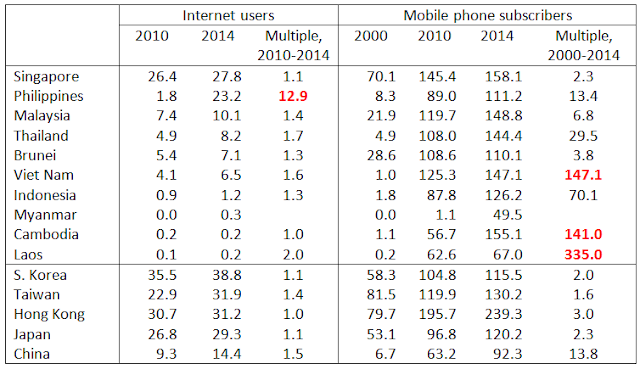 BWorld 21, More internet use means lesser corruption? * This is my article in BusinessWorld Opinion last October 28, 2015. Many Filipinos and Asians now are getting more vocal about their frustrations regarding government (inefficiencies, wastes, corruption, plunder, etc. ), corporate monopolies and duopolies, politicians and/or political parties, and so on. One of the explanations is that people have more information and have increased access to the Internet and events happening in their country and abroad. 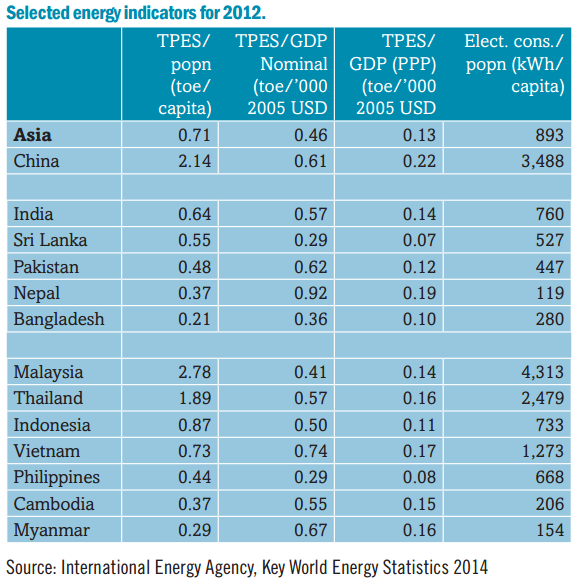 Source: ADB, Key Indicators for Asia and the Pacific 2015. The column on multiple is not part of the ADB report, it is only added in this paper. More affordable laptops, tablets, and mobile phones plus greater access to the Internet, are big contributors to this. In the past, news about a political scandal or a murder can take days or even weeks to be disseminated to the rest of the country. But now, these events can be broadcast within minutes and hours. Facebook, Twitter, Instagram and other social media platforms have helped transformed ordinary citizens into spontaneous reporters of important community events and stories and national issues. This is not an exhaustive academic paper but another short attempt at explaining what contributes to greater or lesser wastes and corruption in governments, in the Philippines and other Asian countries. Two sets of data will be used: Internet use and mobile phone subscription data from the Asian Development Bank and corruption perception index by the Transparency International (TI). So the data set is limited and hence, its conclusive function is also limited and hence, may be inaccurate for some countries. Nonetheless, the numbers should give readers more ideas by which they make their own conclusions. In the table below, note the multiple -- meaning the number of times the figure in 2014 have expanded over the same figures in 2010 or 2000. This is a good indicator for the people’s greater access to information. From the data shown, if the aforementioned hypothesis is true, the following countries should experience reduction in corruption in 2014 compared to 2010, at least in corruption perception: Philippines, Thailand, Vietnam, and Laos. 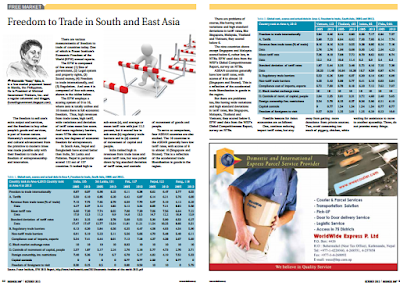 Let us now check TI’s data for Association of Southeast Asian Nations (ASEAN) countries. Brunei is not included in the report. • Overall, there is reduction in corruption perception in ASEAN countries. Singapore might have slipped in global ranking and score, but it remains in the top 10. The hypothesis seems to be confirmed by the above data except in Thailand, which remains under a military junta and dictatorship since 2013 or 2014 with no electoral and popular mandate, nor plans to hold any election in the near future. Corruption perceptions therefore, declines overall. As people become more empowered with more information, they become more demanding and more politically impatient. People want quicker changes in the socioeconomic conditions of the country. And muted in various political and economic analysis, is the desire by many people to have less government -- less regulations and taxation, less permits and bureaucracies. More information means people can manage their own lives, their own households and communities better. More information is improvement in people’s welfare itself. Ignorance partly due to inefficient public education system can be compensated by the people having access to the Web, where people can download and read almost any type of information and skills upgrading they want. The people’s impatience with government inefficiencies, wastes, and corruption should be a signal for government leaders and officials to reduce and shrink their intervention and assault on the people’s pockets and free will. So long as people do not resort to violence and deception to expand their income and wealth, there is little or no justification for governments to keep their high degree of regulations and taxation, permits, and bureaucracies. Bienvenido S. Oplas, Jr. is the head of Manila-based Minimal Government Thinkers, Inc., and a Fellow of Kuala Lumpur-based South East Asia Network for Development (SEANET). Double talk is a perennial practice and characteristic of the "kill fossil fuels, save the planet" movement. They frequently jet-set to many countries and continents yearly on airplanes that run 100% on petroleum then lambast petroleum; they stay in huge, glitzy and brightly-lighted cities and hotels that are often dependent on coal and natural gas then lambast coal, natural gas and fossil fuels. And so they actually contribute to more global dependence on coal and natural gas. 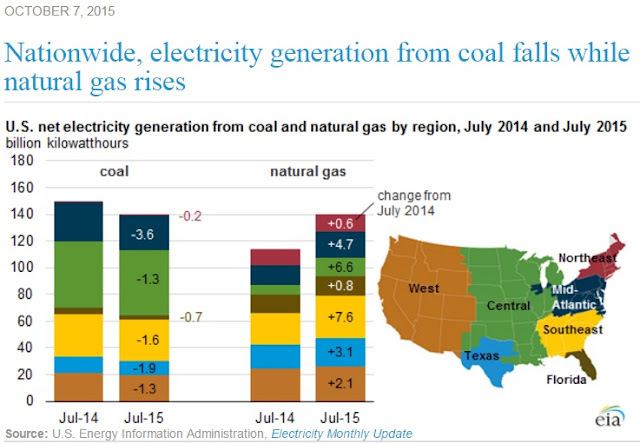 The Washington Post ran a story last October 12, 2015, As appetite for electricity soars, the world keeps turning to coal. It is a climate alarmist story and yet the authors recognize that as of 2012, the world -- rich, middle income and poor countries combined -- was dependent on 68% fossil fuels (coal + natural gas + oil) for their electricity needs. 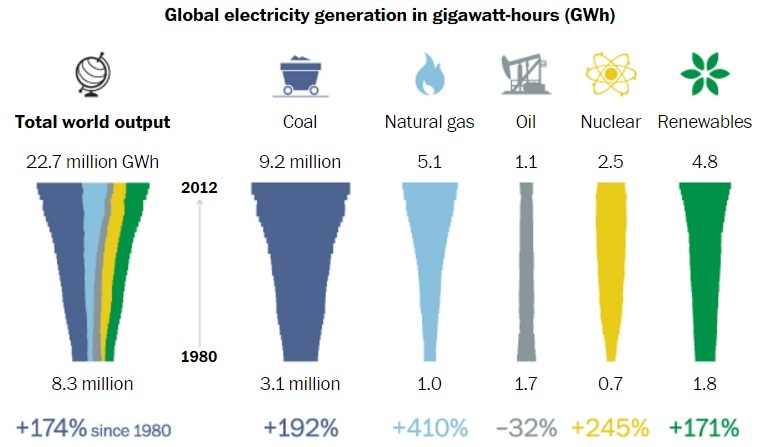 The 21% renewables are largely "old renewables" like big hydro and geothermal. The "new renewables" like wind and solar should contribute something like 2-4% of total. In terms of total global electricity output from 1980 to 2012 (32 years), the biggest increase in GWh are (1) coal with 6.1 M and (2) natural gas with 4.1 M. Percentage wise, biggest increase were recorded by nat gas and nuke. So although it is a climate alarmism article, there is honesty in recognizing that if people want more and stable electricity, fossil fuels are inevitable and reliable energy sources. From a nice US Chamber of Commerce article last October 16, 2015, There Are Gigawatts of Good Reasons to Still Mine Coal, this table is lifted from the World Coal Association. 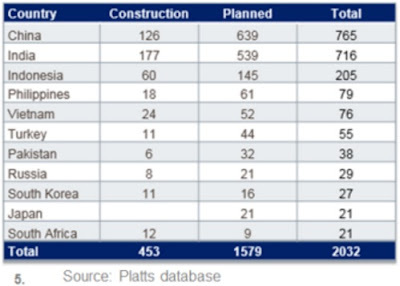 * Globally, there are 510 coal-fired power plants under construction, with a further 1,874 planned, a total of 2,384. * Europe and America play a very small role. It is good that despite heavy lobbying by the "kill coal, save the planet" movement led by Greenpeace, World Wildlife Fund (WWF), Oxfam, Sierra Club and other big environmental groups, with indirect (and sometimes direct) blessings and funding of the UN, ADB, WB, etc., the three big ASEAN countries Indonesia, Philippines and Vietnam realize that it is not possible for them to grow fast if they will shun cheaper and stable energy sources like coal. In the US, despite echo-pronouncements by the Obama administration, the biggest economy in the world is 70% dependent on coal and natural gas (35% each) for its electricity needs as of July 2015. This data is from the US Energy Information Administration (EIA), October 07, 2015. To glorify darkness -- like the "Earth Hour" annual campaign of the WWF -- is lousy. Idiotic too. Where there are more dark streets because electricity prices are high and power sources are unstable, there are more crimes and road accidents that happen. And they normally victimize the poor. It is the poor who have no cars and must walk even in dark streets at night. And thieves, rapists and murderers prefer darkness than lighted streets. Where there are frequent brownouts due to insufficient baseload power plants (like coal, nat gas, nuke and big hydro), more people use candles. And there are more fires, more deaths and destruction of properties. Or there are more expensive and noisy generator sets that run on... fossil fuel diesel. The climate alarmism, anti-coal, anti-fossil fuel movement is clearly an anti-poor, anti-development, pro-ecological socialism movement. 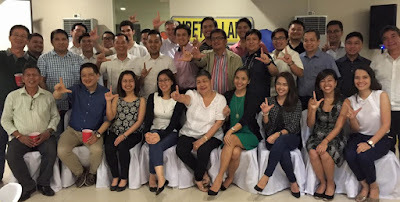 Solving, or worsening, the traffic congestion in Metro Manila and neighboring cities and provinces is a subject that seems to have created hundreds of thousands, perhaps millions, of "experts" on the subject. Almost everyone has a great plan and solution/s how to address the problem, some of which are useful, some may be not. Listening to real experts and people in the sector therefore, in a live, non-stop exchange of ideas, is a big treat. I myself have my own views and proposals how to address the problem but given the field of invited participants and speakers yesterday, I opted to just listen. I am referring to the Stratbase Albert Del Rosario Institute (ADRi) Round Table Discussion (RTD) yesterday on “Greater Manila Transport Infrastructure Solutions: Thinking Beyond EDSA" at the Tower Club, Philamlife Tower, Makati City. 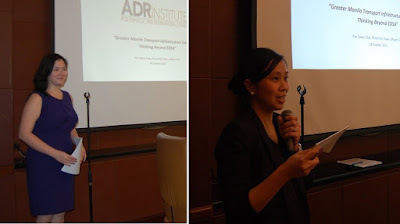 Opening remarks was given by ADRi President, Prof. Dindo Manhit, holding the microphone. In this photo from left: Eduardo Yap (Management Association of the PH, MAP), Atty. 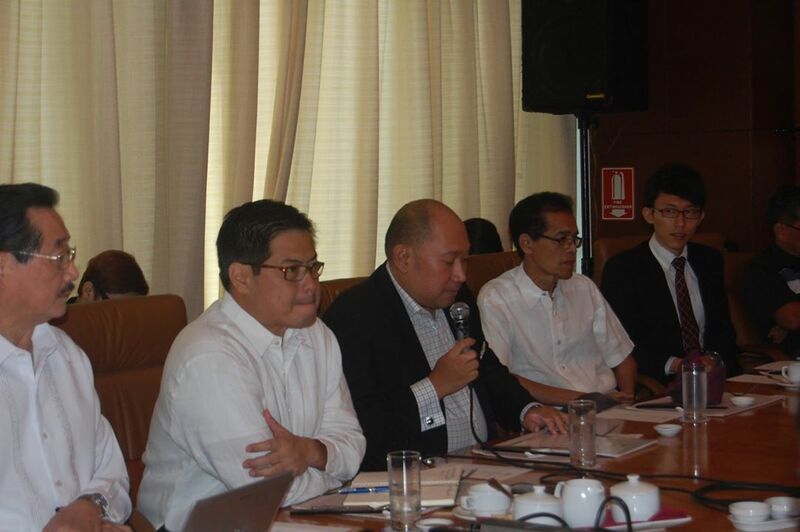 Tim Abejo (CitizenWatch.ph), Dindo, Dr. Epictetus Patalinghug (UP College of Business Administration), and Yuya Takagi (Japan International Cooperation Agency, JICA). 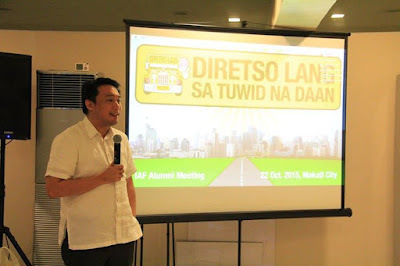 Dindo mentioned about their paper that described not "Daang Matuwid" (straight road) but "Daang Masikip" (narrow road) because of the various "carmageddon" that happened this year alone. Hence, the forum's theme of "thinking beyond Edsa." 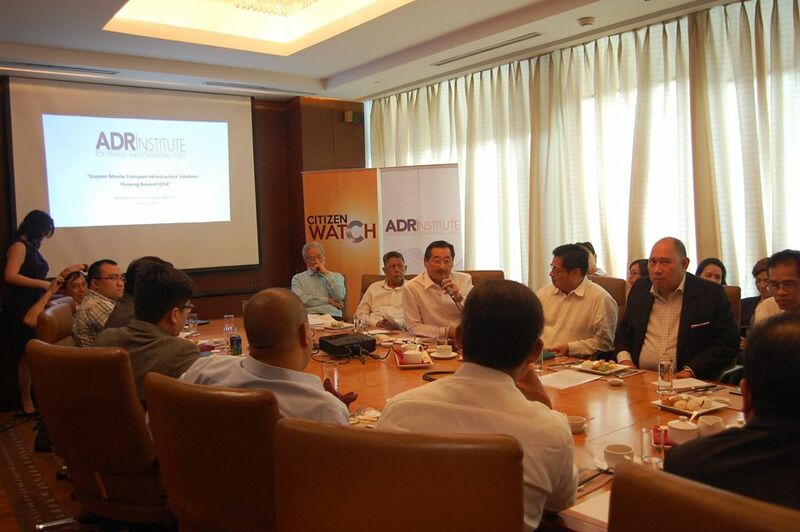 Mr. Yap, holding the microphone, gave a short but great presentation, of MAP's analysis and proposals that were also given to government Cabinet officials in charge of Metro Manila and the nation's infra. He talked for instance about building a subway from north to south of Metro Manila, as the technologies like huge tunnel borers are available; or if building above-ground rails and skyways, pre-fab structures are available. 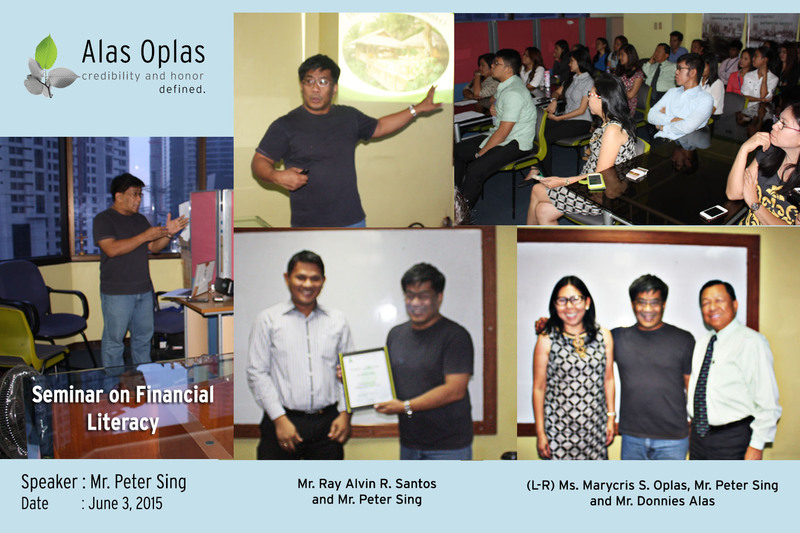 Rene Santiago of the Foundation for Economic Freedom (FEF) gave a long discussion after Mr. Yap's presentation. The exchanges started with Manila's public transpo including buses, trains (LRT, MRT, PNR), the road infrastructures needed to respond to rising volume of vehicles. Then shifted to Manila ports decongestion, optimizing the ports of Batangas and Subic, moving the containers by rail, moving and decentralizing the Bureau of Customs' inspection procedures. From left: Voltaire Wycoco of ICTSI, Atty. 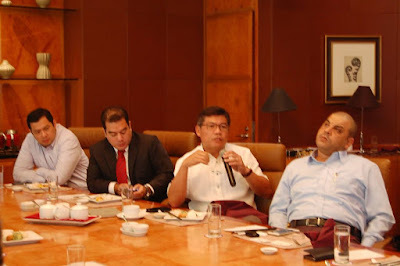 Michael Sagcal, Spokesperson of the Department of Transportation and Communications (DOTC), Ferdinand Inacay, President and Chief Executive Officer of MRail, Inc., and Mohamed Ghandar, Director, Asia Region and General Manager of ICTSI. Eduardo Yap (MAP); Atty. Ed Relucio (HOR); Atty. Lysander Castillo (PBEST). 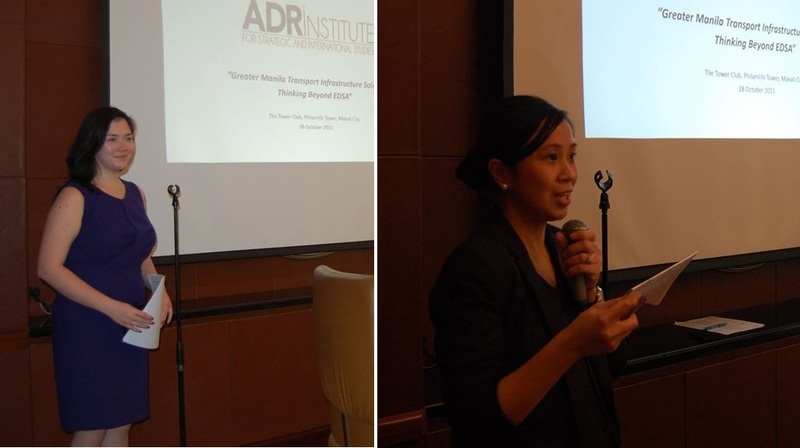 Not in the group photo but administered the RTD were ADRi Deputy Executive Director Angelica Mangahas (left) who introduced the guests and moderated the discussion, and ADRi Executive Director Atty. Kaye Clemente (right), who summarized the discussion and gave the closing remarks. To help address, help reduce, the daily traffic congestion in M.Manila -- have less government intervention. Traffic congestion is an engineering problem with engineering solutions; it is a result of some market failures with market solutions. Like those unsolicited proposals to build more LRT/MRTs since 20 or 30 years ago under build-operate-transfer (BOT) and hence, no cost to the government except securing the road right of way (ROW) and enforcing property rights. Like those air-con vans that bring office personnel from their houses/villages straight to Makati, Ortigas, BGC, Eastwood, Manila, airport, and so on, with just "one ride." When government says "NO, no one moves, no one builds anything, unless you get our signatures and permits first", then a one-week paralysis can become 5, 10, 20 years paralysis. All photos above I got from Stratbase ADRi fb album. Thanks Krystyna, Mikee, Kaye. The World Bank (WB) recently released its Doing Business (DB) 2016 Report. Before discussing it, here are two previous DB 2010 and 2015 Reports. In DB 2009 Report, the Philippines ranked 141st out of 183 countries covered. In the DB 2010 Report, below, the country ranked 144th/183. The main bottlenecks are in (a) starting a business, and (b) closing a business. Relatively good rank in (a) trading across borders, and (b) registering property. Last year's DB 2015 Report, the Philippines ranked 95th out of 189 countries with an overall distance to frontier (DTF) score of 62.08. 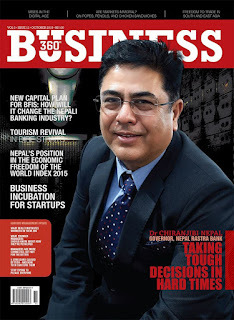 Bottlenecks in (a) starting a business, and (b) protecting minority investors; good ranks in (a) getting electricity, and (b) trading across borders. This year, DB 2016 Report, the PH slipped 8 positions and went down to global rank of 103rd out of the same 189 countries. Ok, the 2016 Report shows that business bureaucracies in the Philippines have worsened compared to the previous year. But compared to the previous administration, based on DB 2009 and 2010 Reports (PH global rank of 141st and 144th, respectively), current ranking is better. Fine, but it is something that we cannot really be proud of. Why would PH bureaucrats, local and national, continue to impose lots of permits, taxes and fees, to people who create jobs, who expand the production of goods and services in the country? Entrepreneurship and job creation is not a crime. Heavy bureaucratism is, because it contributes to higher unemployment, higher corruption, and higher prices of goods and services. Which tend to affect the poor more than the rich and middle class. BIG Government, its size, bureaucracies and taxes, must shrink. * This is my article in Business 360, published in Kathmandu, October 2015 issue. The freedom to sell one’s extra output and services, and the freedom to buy other people’s goods and services, is part of human nature. Humanity’s economic, social and cultural advancement from the primitive to modern times was made possible only with their freedom to trade and freedom of entrepreneurship and innovation. There are various measurements of freedom to trade of countries today. One of which is Fraser Institute’s Economic Freedom of the World (EFW) annual reports. The EFW is composed of five areas: (1) Size of government, (2) Legal system and property rights, (3) Sound money, (4) Freedom to trade internationally, and (5) Regulation. And area 4 is composed of four sub-areas, shown in the tables below. The EFW employs a scoring system of 0 to 10, where zero is totally unfree and 10 means there is full economic freedom. Thus, high revenues from trade taxes, high tariff, wide variations and deviation of tariff rates mean low score. And more regulatory barriers, more NTBs also mean low score, low degrees of economic freedom for entrepreneurs. In South Asia, Nepal and Bangladesh have scored better than India, Sri Lanka and Pakistan. Nepal in particular scored 122nd out of 157 countries. It ranked high in sub-areas (a), and average or mean tariff rate with just 12.2 percent, but it scored low in sub-areas (b) regulatory trade barriers and in (d) controls of movement of capital and people. India ranked high in revenues from trade taxes and mean tariff rate, but was pulled down by big standard deviation of tariff rates, and controls of movement of goods and people. To serve as comparison, four ASEAN countries are also studied. 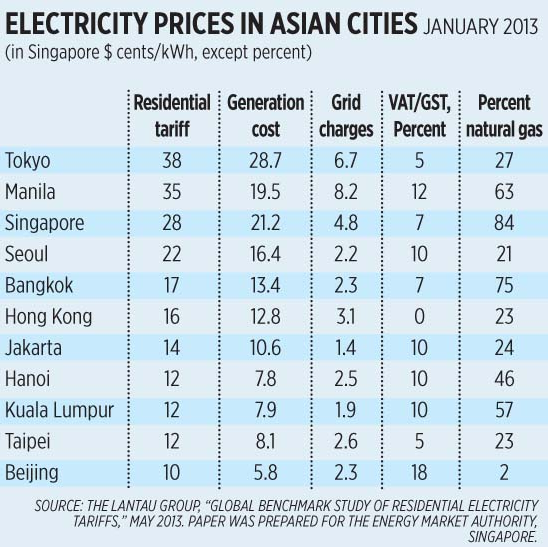 The 10 countries in the ASEAN generally have low tariff rates, with scores of 8 to almost 10 (Singapore and Brunei). This is a reflection of the accelerated trade liberalization in goods in the region. There are problems of course, like having wide variations and high standard deviations in tariff rates, like Singapore, Malaysia, Thailand and Vietnam; they scored below 6. The 9 countries above except Singapore and Malaysia scored below 6, rather low, in NTBs. EFW used data from the WEF’s Global Competitiveness Report, survey on NTBs. 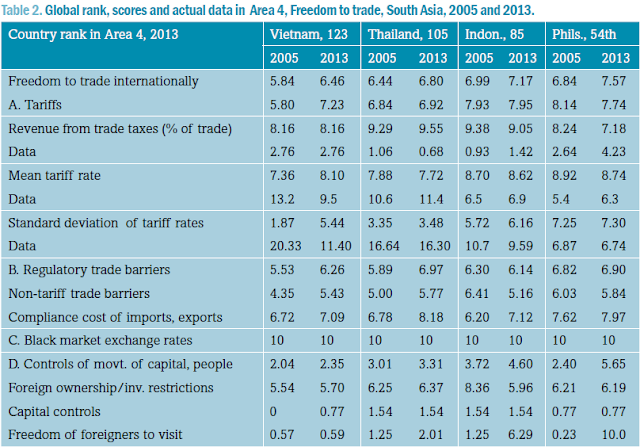 ASEAN countries generally have low tariff rates, with scores of 8 to almost 10 (Singapore and Brunei). This is a reflection of the accelerated trade liberalization in goods in the region. But there are problems too, like having wide variations and high standard deviations in tariff rates, like Singapore, Malaysia, Thailand and Vietnam; they scored below 6. EFW used data from the WEF’s Global Competitiveness Report, survey on NTBs. Possible lesson for Asian economies, continue reducing import tariff rates…. To accumulate wealth and assets, to have sufficient resources for investments in the future, one must have savings, right? Income - Spending = Savings, right? This is among the most important messages that my friend, Peter "Pidro" Sing, imparted to the accountants, auditors and other staff of my sister's auditing firm last June 03, 2015. 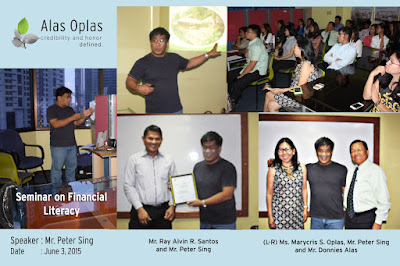 He gave a lecture on Personal Financial Education as part of the firm's education and training series for its staff, and some 30 staff and officers of the company were hooked and glued on their seats, savoring every message, anecdote and experiences of other people, that Pidro shared. Peter, or better known as "Pidro", is a self-made successful businessman. Meaning he did not inherit any huge money or business from his parents or close relatives. He went through a roller coaster of starting a business, go bankrupt, start another, close it, start another, sometimes simultaneously. Such experience is not attained or achieved in formal business education, only in the "school of hard knocks" or "school of life." Something that his audience that day greatly appreciated. The above formula, Spending = Income - Savings, is something new for many people. Meaning, spending must adjust after forced savings have been set aside. Forced, deliberate, personal and/or household savings. Monthly. Pidro is not selling any product, any service, any consultancy. In fact he's doing this for free, he spends his own money and time as his personal advocacy. After going through the roller-coaster of business set up -- wealth -- bankruptcy cycles, he realized and teaches repeatedly, that the key is not so much on how big the monthly or yearly income is, but in how big and consistent is the forced personal and household savings. He says that he does not need any consultancy or professional fee with what he's doing because his businesses is earning money for him as he speaks for free. And it's true. I have known Pidro for 3+ decades now, dating back when we were dormmates at Narra Residence Hall and fellow student activists in UP Diliman in the early 80s. He's a "slippery" guy even from police and military agents during the Marcos period. 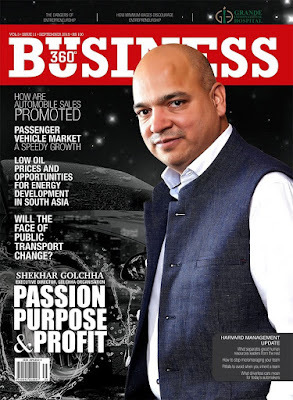 After graduating from UP, he would slip from one employment to another, then slip from one business to another, and wealth would also slip from him as he closed one business after another, until he found a good niche since several years ago. Pidro's personal advocacy is civil society in action. We do not need the government in many cases to improve our lives. Life is about more personal and parental responsibility, and more individual freedom. Government responsibility should be limited to a few functions, like having rule of law and protecting the people from aggression by organized, armed bullies and criminals. Thanks again Pidro. Keep kicking. Last Thursday night, October 22, the Friedrich Naumann Foundation for Freedom (FNF) - PH Office hosted its annual reunion for alumni of the International Academy for Leadership (IAF), short courses and seminars (1-2 weeks long) in Gummersbach, Germany. 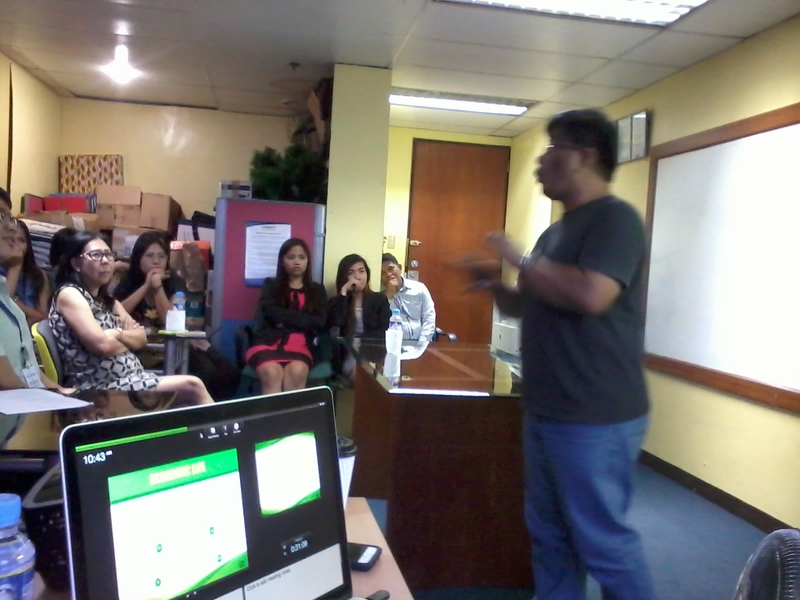 Here, FNF PH Country Director Jules Maaten speaking, giving the opening remarks. It's a beer and sausages reunion. 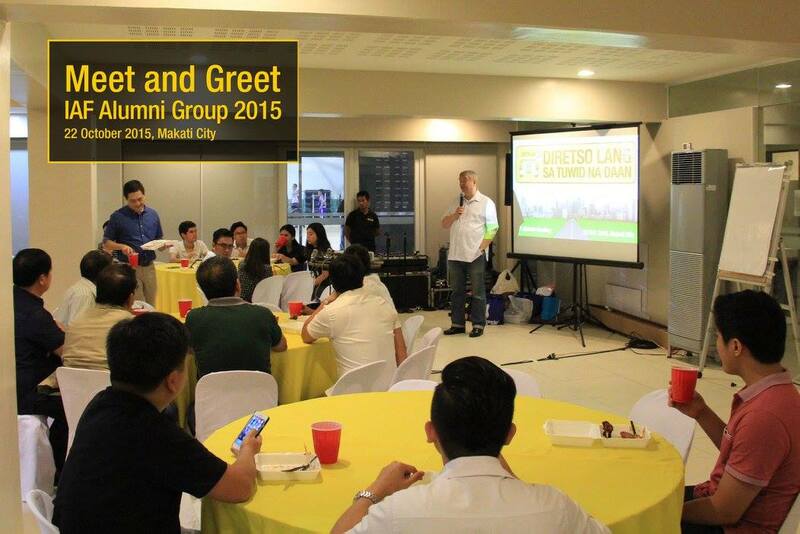 Venue was the San Lorenzo Village multipurpose hall, Makati City. Below, lots of huge German sausages, sliced. 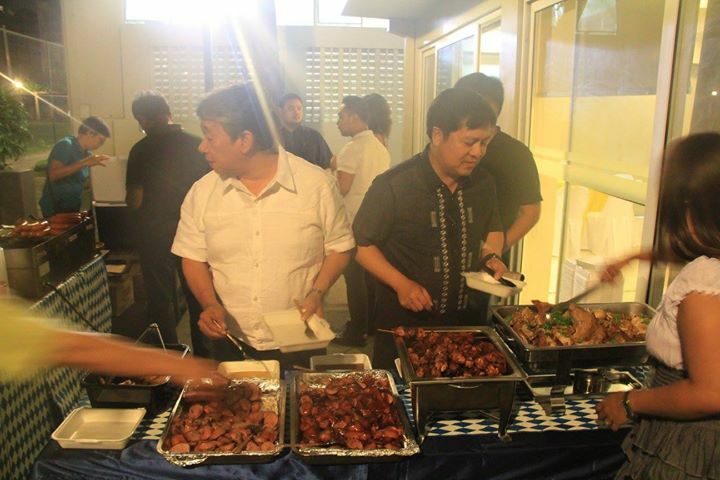 And pork bar bq, and litson manok. Program MC was Pauline Sanchez. She called on three alumni -- Jorgia Salonga, Mikael de Lara Co, and Tricia Robredo -- to briefly share their experience at the IAF in Gummersbach. Below, Assistant Sec. Kael de Lara Co.
Pauline asked for any volunteer from other alumni who wanted to share their experience, I raised my hand. I said that I attended the seminar on "Local Government and Civil Society", late October 2008. 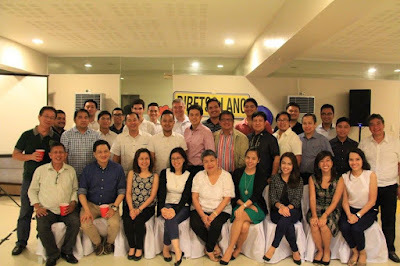 Our seminar facilitators defined decentralization as those functions that can be done by the local governments, do not assign to the national government. And civil society is defined as those functions that can be done by civil society, of mature and responsible individuals, do not assign even to local governments. Which means that a state of civil society has the smallest, leanest possible government presence. I find this political philosophy the most radical in the planet, at least among the major ones (vs. socialism or conservatism or democratism, etc.). And that makes me a big fan of (classical) liberalism and the FNF. After the short sharing of experience, the game -- we were divided into four groups. A quiz, on six subjects -- general knowledge, movies, music, food, sports, and another one. The group photos, fun and wacky. Beside me is former Cong. Erin Tanada. Then the karaoke and sing along. Outside the room, near the beer and sausages, someone pulled out a guitar and there was another round of singing. Kael, Paolo Zamora and Bing Salvador are good guitarists. We sang some songs by U2, Bob Marley, Pearl Jam, other rock bands. Thanks again Jules, FNF-PH team, for another fun-filled night and reunion with my fellow IAF alumni. FNF events are always among my priorities, so long as I get an invitation. 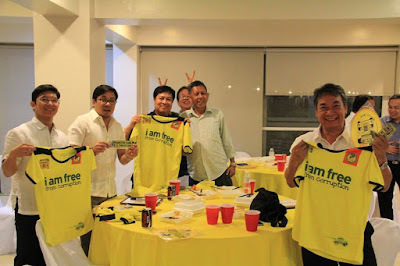 All photos above from the FNF-PH Office fb page. 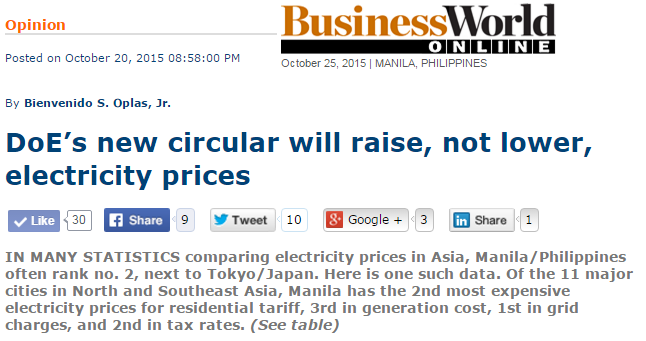 * This is my article in BusinessWorld last October 21, 2015. With such a cost structure, it would be a mystery why some groups and government officials would think of new ways and schemes that would further raise electricity prices in the Philippines. Like the feed-in tariff in the Republic Act (RA) No. 9513 or the Renewable Energy Act of 2008 and more recently, the Department of Energy (DoE) Circular No. DC2015-06-008, “Mandating all Distribution Utilities (DUs) to undergo Competitive Selection Process (CSP) in securing Power Supply Agreements (PSA)” through a Third Party. There are two normal and two abnormal concepts in this Circular. The normal ones are CSP and PSA, they have been there since many decades ago, DUs and electric cooperatives doing CSP on their own with power generating companies (gencos) in getting their PSAs. The abnormal ones are the (a) mandatory, obligatory CSP, and (b) introduction of a Third Party. The latter is a private entity or organization that suddenly has the power to say “Yes” or “No” to a PSA entered between a DU and a genco. Let us call them “Abnormality A” and “Abnormality B,” respectively. Abnormality A is suspicious because it imposes a new degree of coercion and arm-twisting for the DUs. In areas or cases where power supply (by gencos) is lower than the demand (by DUs), there is little or no leeway to do CSP. The key to have cheaper electricity is to have lots of gencos competing with each other in supplying electricity to DUs and other institutional consumers via lower prices. Two, the Energy Regulatory Commission (ERC), a government agency created by Congress under the RA 9136 or the Electric Power Industry Reform Act (EPIRA) as the real and institutional Third Party between gencos and DUs, is now relegated as a mere Fourth Party because there is a new Third Party -- with zero congressional legal basis or justification -- that was inserted in the process. 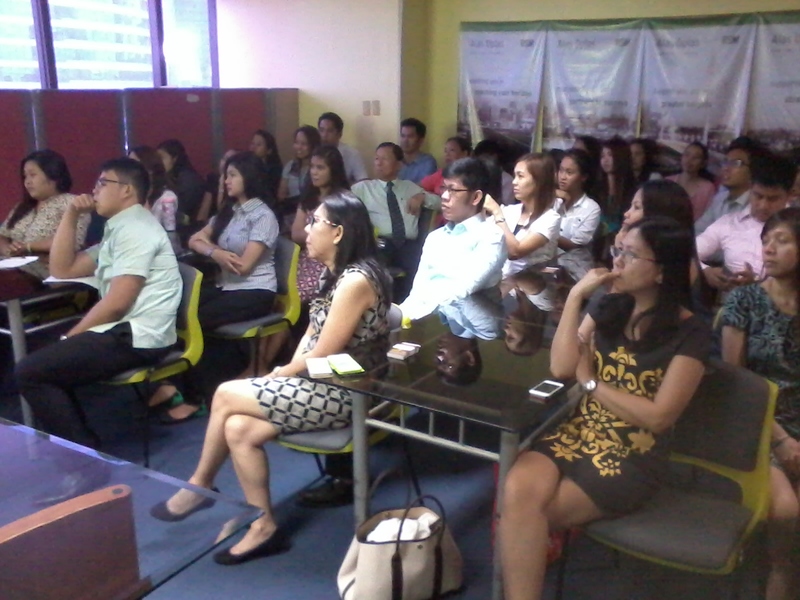 The draft implementing rules and regulations made by the DoE gives lots of powers and leeway for this Third Party. 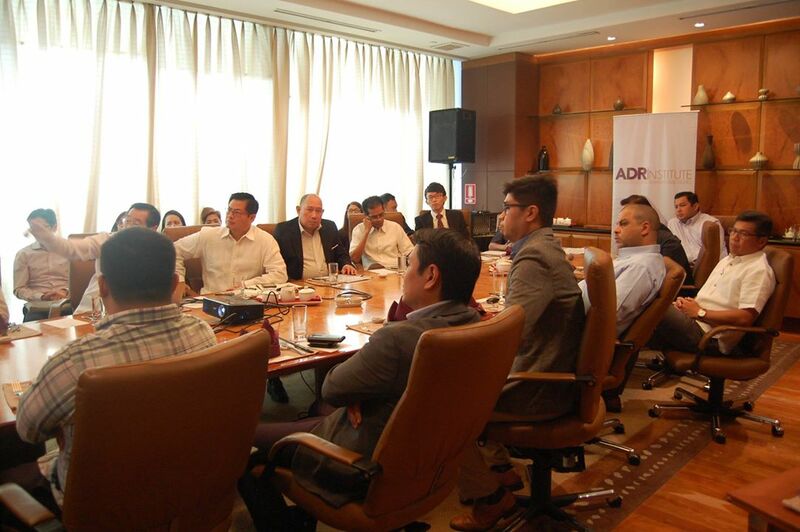 During the DoE public consultation about the Circular last Oct. 6 at Intercon Hotel in Makati, it was obvious that some NGOs and “consumer groups” were lobbying hard and positioning themselves to be the accredited Third Party. Not only for the potential big money involved from the fees to be collected, but also for that new bureaucratic power to approve or disapprove a PSA between legitimate DUs and gencos. And three, Abnormality B imposes mandatory aggregation of DUs for their PSAs. Each DU has its own cost structure, own requirements, own set of consumers (residential, commercial and industrial) that often are different from those of other DUs. Imposing a one-size-fits-all order removes the flexibility of DUs to get their own PSAs. This circular is very successful in creating more questions than it could answer. It introduces new cost that will raise electricity prices, thus cancelling or negating its stated goal of lowering electricity prices. The DoE seems to be in a hurry to have this circular become operational within the next few weeks. In the event that it is ultimately to be implemented, there are at least two remedial measures for the DUs, gencos and the public. One, there should be independent audits of that Third Party to evaluate compliance with rules and regulations set by the ERC and EPIRA. 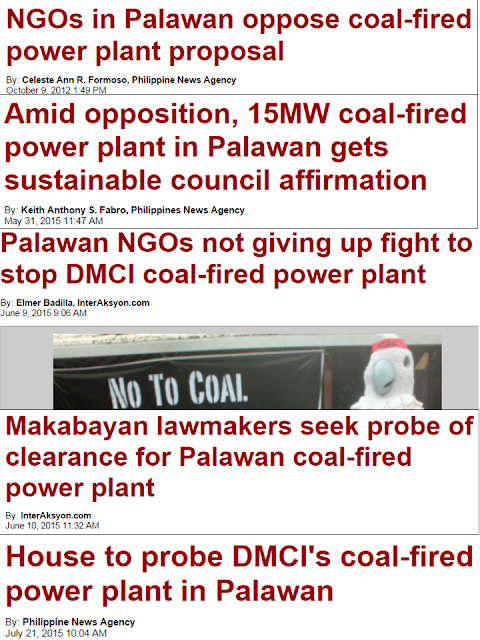 And two, the IRR should have a sunset provision or clause, ordering the DoE and ERC to conduct a study or commission a study on the Cost-Benefit analysis after one year of implementation, to see if the circular has indeed brought down the cost of electricity in the country or even contributed to higher electricity prices. If the benefits are smaller than the costs, the circular should become void and withdrawn, or be significantly amended to remove Abnormalities A and B.
Bienvenido S. Oplas, Jr. is the President of Minimal Government Thinkers, Inc., a free market think tank in Manila, and a Fellow of the South East Asia Network for Development (SEANET), a regional center based in Kuala Lumpur advocating free trade and free mobility of people in the region. 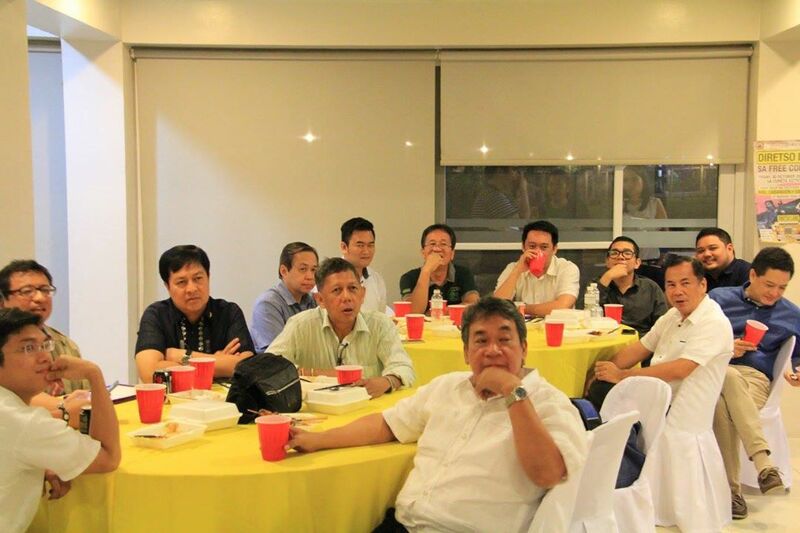 In one of my various discussion groups in facebook last August 2011, there was an exchange on the necessity of having a gun in the house or not, as part of disaster preparedness -- against thieves and looters who attack during natural calamities or political riots. I believe that gun ownership should be liberalized with only one condition -- people should belong to a gun club, a private, civil society organization, that in turn is registered with the government. The club will provide training and teach responsibility to members.. The club and its officers will assume some accountability if one or some of their members will abuse their gun ownership. Self-policing of members is a must. So when a club member harms or murders another person somewhere, the guys who will primarily haunt him will be his clubmates, not the police. The clubmates know where he lives, works, hangs out often, his other close friends, and so on. 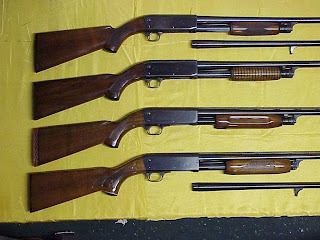 Then there will be no need for heavy government involvement in regulating gun ownership. The state should focus on having a strong, independent and credible courts, then enforcement of court decisions. Below are some comments to my arguments. 1. Well said Nonoy. Self-policing, training and accountability is the way to go and far more effective than laws that crack down on ordinary people but leave criminals free to roam. 2. How about if one is not a sports shooter and gun club member but needs legit gun for defense, will he/she be deprived? 3. What if that gun owner had gun safety training sans club membership? And, how will the co-club members knew what happened, if say, he/she did not say anything about the incident nor the aggrieved say anything? On (2), Yes, he should be deprived of gun ownership. Being a lone ranger gun owner with no community accountability is dangerous and can be a source of abuse. One will not be happy if his neighbor has a gun and start shooting neighbors and their houses simply because the neighbor’s dog barks too loud, or there is a big and noisy party one night. If the gun owner knows that it's not just the police who will go after him but his fellow club members, he will be scared from being an abusive gun owner. He may be able to evade the police easily, but difficult for him to evade his friends and fellow club members who know more personal information and details about him. If the club will protect its abusive members, the police and the federation of gun clubs can gang up on that club. This will put pressure on the club officers to help hunt down their abusive member/s because all club members will now be adversely affected. Recognition of that club by the government and the federation will be removed and all club members should be disarmed, unless they transfer to another club, in which a new system of transparency and accountability is set. On (3), if there is no complainant, then the problem will persist. That is why I give the above example of an abusive gun owner shooting his neighbors even for flimsy reasons. I think people will support disarming those abusive gun owners, or simply lock him up in jail. 4. What if the gun owner has no pestering neighbor and not gun club member, will he be deprived of his gun? Club membership should not be criteria for legit gun ownership. Gun ownership should be a part of ones right to self preservation, like defense to life, family and liberty. 5. While I agree that it's advantageous for gun owners to be members of gun clubs, I think the system you propose carries with it a high potential for disarmament through the 'back door'. A few bad incidents will be used by the anti-gun groups to disarm ALL members, whether they are guilty or innocent. This has been seen many times all around the world. Furthermore, I don't think your system will significantly reduce the traffic altercation-type scenarios you mention. If a person does not have the temperament to carry, not even membership of a gun club would change that. On (4), Yes. He should be deprived of gun ownership. Club membership is mainly to establish transparency and accountability. You harm no other people, you own a gun for self-defense and for weekend hobby in a shooting ranger, no problem. You harm other people for no justifiable reason, your clubmates will haunt you, otherwise the Federation of Gun Clubs will remove recognition of the club and all members will be disarmed. Having a gun can can make otherwise rational people become irrationale if they know that they are relatively anonymous to the community. If they leave some degree of transparency and accountability to the community, especially to their peers and friends, it will help retain rationality, but is not a 100 percent assurance that a person will not abuse his gun. An irrationale person can cause harm even with just a knife or a baseball bat or just his fist. The gun can expand that damage several times over. On (5), again, the main purpose of being a club member is to have community and peers accountability. Main accountability will still be the individual. Second accountability will be the club. It is possible that the police or the federation of clubs will gang up on 1 or 2 clubs and withraw its recognition and hence, members will be disarmed. 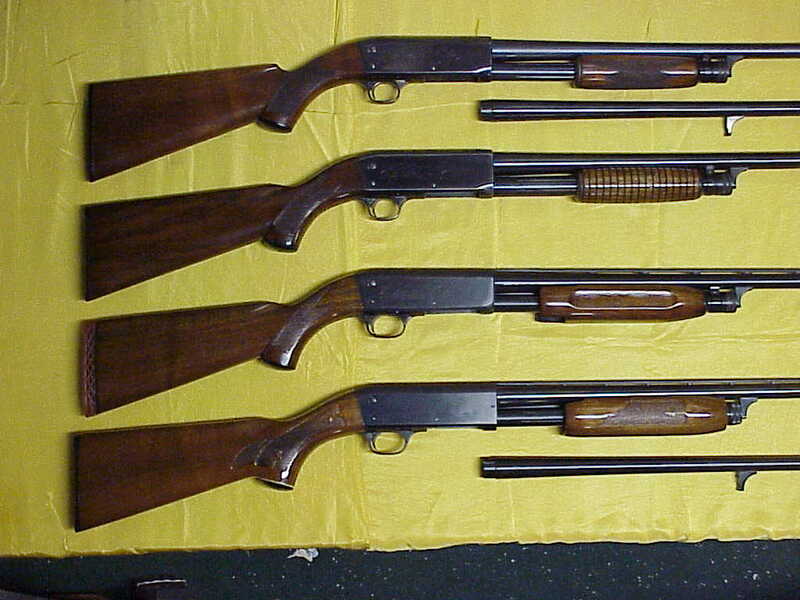 Then members of the disbanded club can join other gun clubs. It is true that people can freak out and do all sorts of crime despite all forms of possible check mechanisms in place. That is where the Federation of Clubs and the government, the rule of law, come in. You shoot somebody, with or w/o valid reason, you are accountable for your action. The gun club membership is not an “add-on” requirement to existing government regulations. Rather, it is a replacement to existing government control and restrictions. Government oversees not the individual gun owner, but the gun club and/or federation of gun clubs. A gun club is a private club, like cycling club, tennis club, golf club, rotary club, etc. It is NOT a government-owned or controlled club. If the officials of your gun club are corrupt and just steal or waste the monthly dues, or are just cronies of government officials, then get out of that club and join other existing ones. That old club can die a natural death. I recognize that it is indeed a big problem. The state can even disapprove one’s application to start a small internet shop or bake shop or barber shop, etc. unless one will first get dozen-plus signatures and permits of the various officials and bureaucrats from the barangay to city hall to national government agencies. How much more with approving gun clubs and gun ownership? One solution is a strong citizens movement towards this reform, or a strong political party that will carry this advocacy. * This is my article in Business 360, a monthly magazine in Kathmandu, Nepal, September 2015 issue. 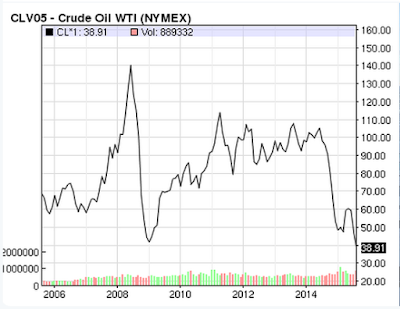 Low world oil prices are seen as “negative” by many analysts because they pull down stocks and equity values of many energy companies and contribute to deflationary pressure. But in the perspective of ordinary oil and energy consumers, they are good and positive news. Whether people move and transport themselves, their family or other people, or they move various commodities, oil is a very important raw material for such large-scale transportation of goods and people. 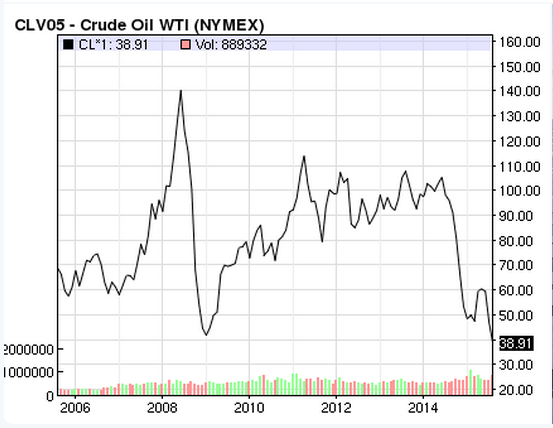 As of August 24, 2015, West Texas Intermediate (WTI) prices were trading at $38-$39 a barrel. These are lower than the levels reached during the sub-prime and housing prices turmoil in the US that spread to the rest of the world in 2008-2009. And these are prices that were seen in 2004 and earlier years. Oil companies and oil-exporting countries are fighting for world market share and care less about the price, whether they are OPEC or non-OPEC member-countries. With the revolution in drilling technology and shale oil fracking, it seems that the average break even price for many companies could be $30-$35 a barrel, so that at $38, they can still make marginal profit. Continuous innovation and development in drilling technology using big data and robotics have significantly reduced the cost and time of drilling and finding oil. From a Forbes report last August 23, an article said that “Faster drilling means cheaper drilling, which makes marginal oilfields economical at lower oil prices. It costs about $20,000 a day to contract an onshore drilling rig, so shaving four days off a well yields an immediate $80,000 in savings. If smarter computers can reduce a rig’s head count by one, cut another $200,000 a year in salary, benefits and accommodations." Many developing countries in South and South East Asia can take advantage of this to hasten their growth and development. Below are some basic data on their total primary energy supply (TPES) in tonne of oil equivalent (toe) and electricity consumption. High TPES means higher energy input for growth and development. In South Asia, Nepal and Bangladesh are producing energy at very low levels. 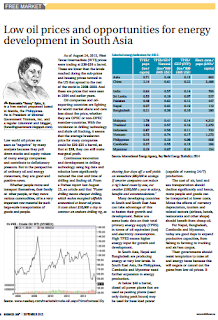 In South East Asia, the Philipines, Cambodia and Myanmar need further expansion in energy production. At below $40 a barrel, diesel oil power plants that are used as peaking plants (used only during peak hours) may be used for baseload power (capable of running 24/7) production. The cost of air, land and sea transportation should decline significantly and hence, more people and goods can be transported at lower costs. Minus the effects of currency depreciation, tourism and related sectors (airlines, hotels, restaurants and other shops) should benefit from cheap oil. For Nepal, Bangladesh, Cambodia and Myanmar, today are good days to expand productive capacities, from fishing to farming to trucking and air/sea cargos. Their governments should resist temptations to raise oil and energy taxes because this will negate or cancel out the gains from low oil prices. When I went to Bangkok last week, my plane landed at midnight. 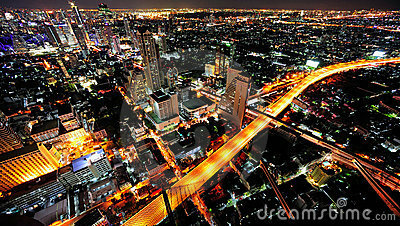 I saw the huge, wide, extensive well-lighted areas of Thailand, even hundreds of kms. away from Bangkok proper. Very very few dark areas. They must have cheap and stable power sources. This photo I got from the web, that's in Bangkok already. Even outside Bangkok, there are just too many lights, they do not economize on energy as electricity prices I think are cheap and affordable. When electricity prices are high, like in the PH, aside from bad economic repercussions, there are two major social problems when many streets and roads are dark: More crimes and more road accidents. Criminals love darkness, they can see their victims well while potential victims can hardly recognize the criminals. There are many road accidents too. Thailand heavily relies on natural gas, 68% of their total energy needs as of 2011. Other ASEAN countries that are heavily dependent on natural gas, a fossil fuel (WWF, Greenpeace, Al Gore, the UN, CCC, etc. hate fossil fuels) are: Singapore 78%, Malaysia 45%, Vietnam 44%. PH only 30% dependent on nat gas. 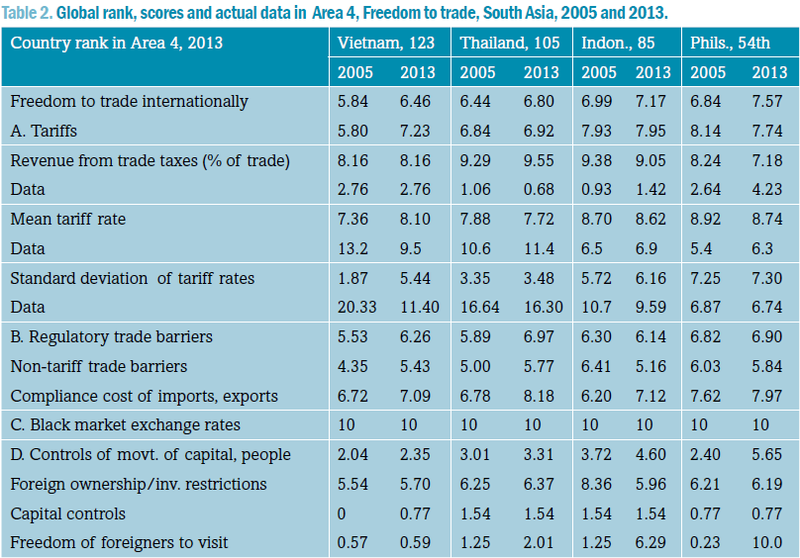 Source: ADB, Key Indicators of Asia and the Pacific 2014. Is this "because of the oligarchs"? Well, almost all countries have their own oligarchs, some even have monarchies on top of the business oligarchs. So, the answer is No. The volume of power generation capacity matters a lot. 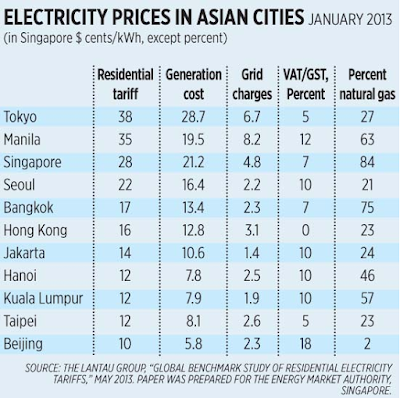 See the above table, in 2011, TH electricity output was 156 B kWh, vs PH's 69 B kWh, or more than 2x ours. They are also less affected by the climate alarmism of the WWF, Greenpeace, UN, Al Gore, etc. as they rely more on fossil fuel energy like natural gas. Darkness means more poverty and less business activities. Darkness means more candles and more fires. Darkness means more noisy and expensive generator sets running on fossil fuel diesel. Darkness means more crimes and more road accidents at night. The planet saviours and their hypocrisy think these are not crimes to humanity. Geothermal is still there, contributes about 10% or so in total PH power supply. Below are some reports how climate alarmism wants to kill any new fossil fuel power plant, they would rather have intermittent and unstable power, more expensive electricity, than have coal plant. A friend commented that "bright nights are not always signs of better development and progress." True, and if people want early darkness, no problem. They just turn off all lights in their house or office by 7pm and sleep early. Now some buildings, offices and houses need to have lights until 12 midnight, or 24 hours -- why should other people be penalized with frequent darkness, or expensive electricity? Government should get out picking winners and losers via favoritism and energy cronyism. 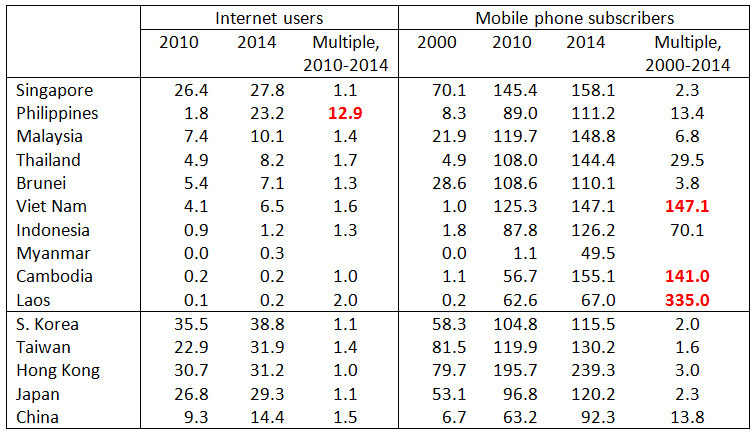 A friend in facebook gave this table, commented that Lackluster long-term outlook (accessible by registered users) from the Economist Intelligence Unit, especially since popn is growing at around 2%. There's still hope. Let's prove this wrong." 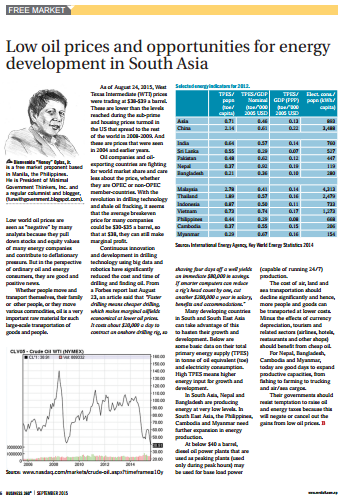 In the absence of institutional change, economic growth in the Philippines is likely to remain below potential. The country's demographic profile holds the possibility of an improved performance. I think the assumptions and projections in the above table are realistic. Government bureaucracy and robbery holds back potential fast growth. Private consumption by households (C) is currently 76 percent of GDP, thanks partly to high population growth. Entrepreneurship among the poor is high, but government bureaucracies say such efforts are criminal and illegal unless the poor will get lots of signatures and permits from the bureaucrats. This puts a brake on potential fast growth. Private investments (I) is low in the country because domestic savings (S) is also low. So it is really C that mainly drives GDP growth in the country. And C is mainly a product of high OFW remittances. Most countries with low population growth have low C/GDP ratio. More borrowings to perk up government consumption and investments (G) are passe. We only have more public debt as a result, which affirms the assumptions by that article, "in the absense of institutional change..." More borrowings especially from official/foreign aid only means more wastes and robbery in the public sector. So public debt is rising while productivity from such borrowings are questionable. One good example was the hundreds of millions of dollars of foreign loans for massive reforestation across the country in the late 80s to early 90s, mainly from the ADB, WB, and OECF/JBIC. So much money, so much foreign loans, and where are the forests from those huge borrowings? Productivity is almost zero, if not negative, as we taxpayers keep paying for those foreign loans until now. Another friend suggested that "for institutional change to take place, we have to believe that that will happen. We should start having faith in our institutions." I think this is faith-based policy making. Even if we know that public officials will waste and steal public funds (they've done so in the past), we still should have faith that they will not steal. What we need in the country is the rule of law, not additional borrowings. Stealing is stealing, the guilty will be prosecuted, make that message very clear across the whole bureaucracy. And local revenues will be more than sufficient to finance public spending as the biggest leak, public wastes and robbery, is plugged. The same friend argued that the rule of law is not enough. It's like saying authoritarian regimes are good because they implement the law effectively. I corrected him, The "rule of law" simply means the law applies to all, no one is above the law. Presidents and dictators, Prime Ministers and ordinary people. When the law says "no stealing" or "no killing", then that's it. Not even Presidents or dictators can steal or kill. Whether one is the poorest person in the planet or the President of a country, the law against stealing applies. Authoritarianism and dictatorships are rule of men, not rule of law. I made a similar growth scenario and projection, 2016-2025, in a paper I wrote for my sister's auditing firm, Alas Oplas and Co. CPAs. 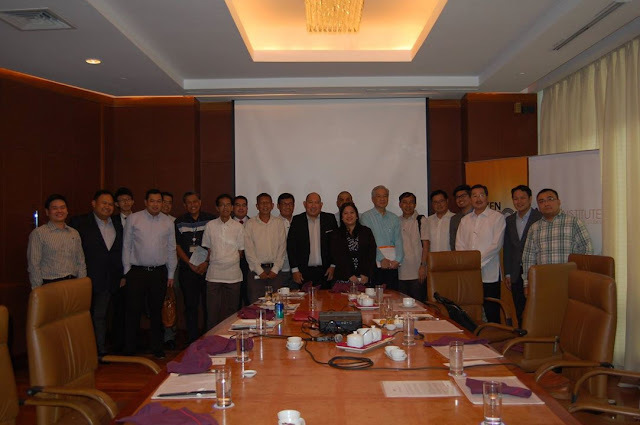 I shared that paper with fellow participants in an ASEAN scenario workshop last Thursday, October 15, 2015 in Bangkok, organized by the Siam Intelligence Unit (SIU). The simple equations and assumptions, I will post in another blog post, but here is a preliminary result. 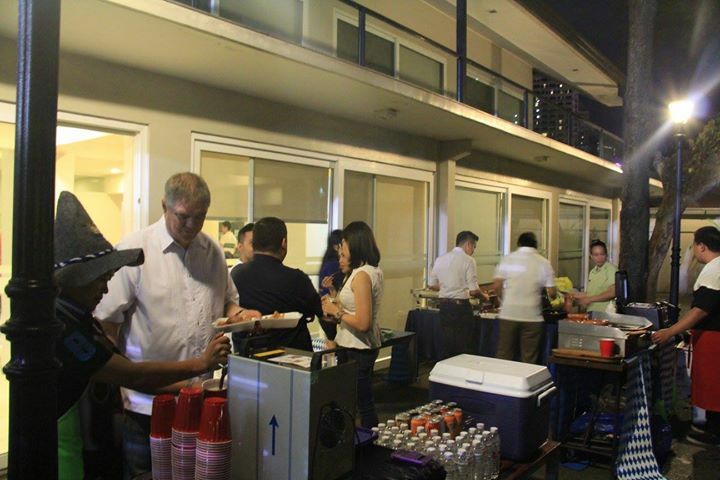 Less government business regulations and taxation will greatly help the PH economy achieve faster growth. Entrepreneurship and job creation is not a crime that should be slapped with multiple regulations, taxes and permits.